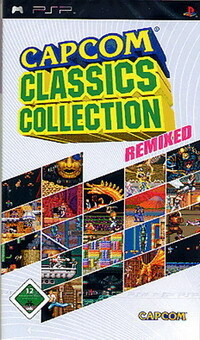 Capcom Classics Collection Remixed is a compilation of many Capcom arcade games. It is similar to Capcom Classics Collection but features a different selection of games (hence the "Remixed"). The collection includes several ways to adjust the original games' aspect ratios to the PlayStation Portable's wide screen. This page was last edited on 7 September 2009, at 21:32.